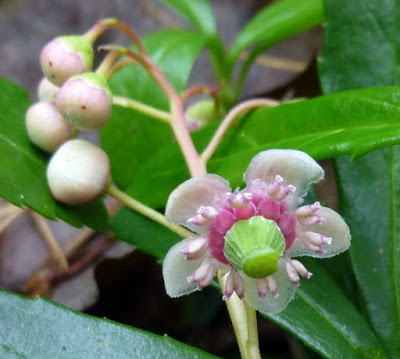 Pipsissewa (Chimaphila umbellata) also known as Prince’s Pine, fragrant wintergreen, is a beautiful perennial plant from the Ericaceae family found in dry forests or sandy soil. The plant is native to Asia, northern parts of Europe and North America. Apart from pipsissewa it is also known as Pyrola umbellate, Winter Green, Butter Winter, Prince’s Pine, King’s Cure, Ground Holly, Love in Winter, Rheumatism Weed, Ground holly, bitter wintergreen, false wintergreen, umbellate wintergreen, Bitter winter, Spotted wintergreen, Chimaphila, Chimaphila corymbosa, Chimaphila umbellata, Chimaphile à Ombelles, Herbe d’Hiver, Herbe à Peigne, King’s Cureall, Pyrole en Ombelle, Common pipsissewa, prince’s pine pyrola, noble pine, pine tulip; striped pipsissewa, spotted pipsissewa, spotted wintergreen, spotted piperidge, ratsbane and dragon’s-tongue. The herb derives its name from the Cree (one native tribe Canada) term “pipsisikweu ‘which translated into English literally means’ it breaks into small pieces.” This name of the plant is mainly due to the belief that the plant pipsissewa contains a substance that helps dissolve kidney stones and gallstones. The aerial part or only the leaves are gathered when the plant is in flower and dried for later use in herbal teas and liquid extracts. 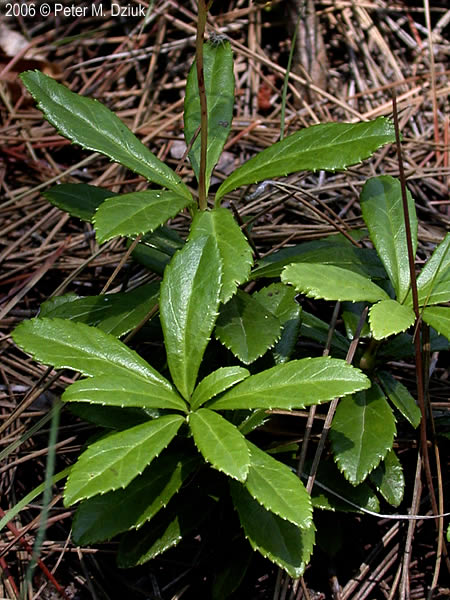 The leaves of C. umbellata are known to be the most medicinally useful, but all parts of the plant have been used in the past in some remedial way. 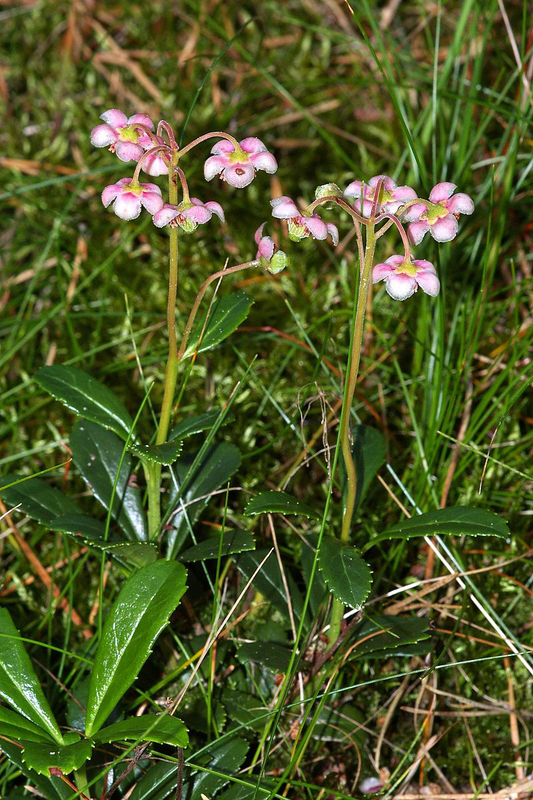 Pipsissewa is a small perennial herbaceous, everlasting, flowering plant that grows about 10-25 cm (4–10 inches) tall. The plant is found growing in dry woodlands or moist areas in coniferous woods or along mountain streams. The plant prefers light moist but well-drained lime-free soil. The plant has creeping and woody rootstock. Erect stems are slender and woody, each year’s growth putting out 3 to 4 new branches which root down over time to slowly form colonial mats. The leaves are evergreen, opposite or whorled in groups of 3 to 8, oblong to lance shaped or elliptical with the lower leaves smaller and nearly oval, 1¼ to 2 inches long, 1/3 to ¾ inch wide, the upper surface very shiny with distinct sharp teeth along edges, on a short stalk. 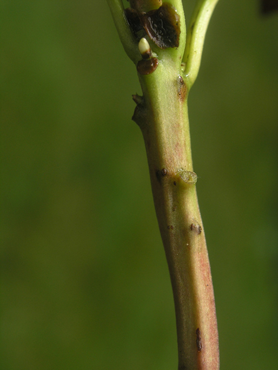 3 to 7 nodding flowers occur in slender stalks at the end of a stem that stands well above the upper leaves. Flowers are ½ to ¾ inch across, 5 white petals pink at the base, spreading like an umbrella around a plump green central pistil, along with a halo of 10 prominent orbiting anthers. Flowering normally takes place from July to August. 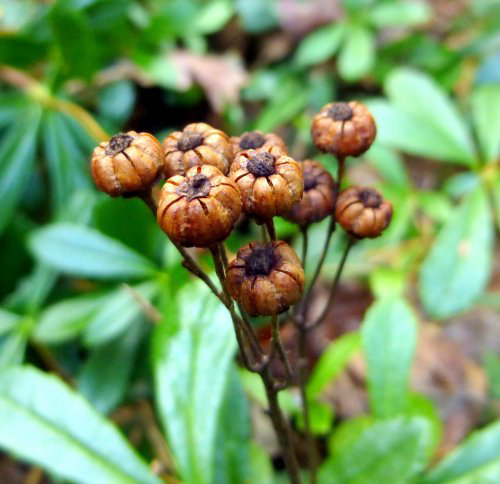 Flowers are followed by upright, dry, 5 sectioned capsules about ¼ inch in diameter, reddish brown with distinct button-like cap from the enlarged stigma. The capsule dries to a dark brown and persists through winter. Poultice made from pipsissewa has been used to deal with painful conditions of the joints or bones. Conditions like rheumatism, arthritis and gout can all be treated efficiently by applying the herb directly to the affected area of the body. The herb also has mild pain killing properties when applied directly to the skin. To treat joint pain and inflammation, you can rub the leaves directly into your skin or make a poultice with the leaves. The leaves should not be taken internally. Pipsissewa herb is supposed to have derived its name from the Cree Indian word “Pipsisikweu,” Which means “to break into small pieces” when translated into English. This is quite relevant as the long term use of this herbal remedy has been scientifically proven to help in treating edema. Further it even dissolves kidney stones (by breaking them into small pieces). Respiratory issues are quite widespread during the cold season. This should not bother anymore. Because the unusually named yet bitter herb can be taken internally to address common respiratory problems. Drinking this potent natural herbal remedy helps to treat the common respiratory ailments. These include chest congestion, bronchitis, colds, sinus infections, and whooping cough. 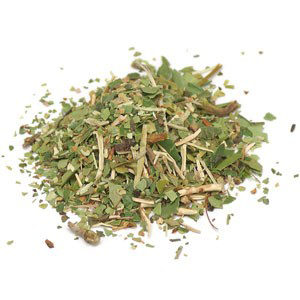 Drinking pipsissewa tea may help relax your mind and calm down during periods of moderate stress. Though there is no scientific evidence of its effects on stress, many teas have a calming effect on people and according to anecdotal evidence; pipsissewa may help relax the mind effectively. Oxidation is a harmful process that occurs in the human body. This process damages cell membranes among other important structures that maintain optimum body health. Thus, can result in the production of potentially harmful molecules. These molecules cause various chronic diseases, damage body tissues and even cause aging. This can, yet be easily prevented by drinking Pipsissewa herbal tea which contains potent antioxidant compounds that work effectively to combat and even neutralize these free radicals. Fever, which is also known as, elevated temperature, Pyrexia or Hyperthermia is another medical condition that you can manage or even alleviated using this herbal remedy. According to recent scientific findings, Pipsissewa herb consists of unique diuretic properties that are quite useful in promoting sweating. This alone plays a major role in breaking a fever. Pipsissewa is quite effective in managing fever. It is even used to treat most common fever diseases including typhoid. Pipsissewa herb consists of various anti-inflammatory compounds. These works together to help alleviate the common health issues which is caused primarily by inflammation. This is the reason why the potent herbal remedy is often topically applied. This helps to alleviate joint and muscle pain that is associated with rheumatism. This herb can also be topically applied to alleviate skin sores, swelling, and even blisters. There are also some scientific findings that indicate that the herb can also manage and even treat both arthritis and gout. Pipsissewa was much used by many tribes of native North American Indians to induce sweating and treat fevers, including typhus. Plant consists of hydroquinones which have a pronounced disinfectant effect within the urinary tract and modern day herbalism mainly employs the plant to treat urinary problems such as cystitis and urethritis. 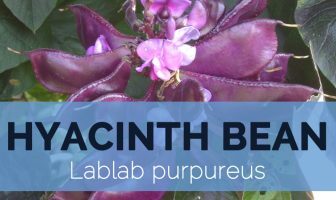 Whole plant is alterative, antibacterial, astringent, diaphoretic, diuretic, rubefacient, stimulant and tonic. An infusion is used in the treatment of various problems related to the urinary system; it is also recommended for more serious conditions such as kidney stones and gonorrhea. Decoction is very effective in the treatment of skin diseases. Fresh leaves are rubefacient and internally they are of great use in cardiac and kidney diseases, chronic rheumatism and scrofula. Plant consists of glycosides and an essential oil that are used as an astringent and tonic. Homeopathic remedy is made from the leaves. It is used in the treatment of inflammations of the urinary system. Fresh leaves, when bruised and applied to the skin, act as vesicants and rubefacients, of great use in cardiac and kidney diseases, chronic rheumatism and scrofula. Decoction is advantageous for chronic gonorrhea, strangury, catarrh of the bladder, and a good cure for ascites. It is said to reduce lithic acid in the urine. It is very effective for skin diseases. Herbal teas are consumed for a variety of health problems, especially as a tonic and diuretic medication for rheumatism, kidney and bladder ailments. It was widely used by herbal practitioners in North America as a safe and reliable antiseptic and antibacterial agent for treatment of cystitis, painful urination, bladder and kidney stones, kidney inflammation, prostatitis, gonorrhea and other ailments. The herb helps the body to get rid of excess fluid and waste products by increasing urinary flow and improve liver function. Drinking tea made from pipsissewa may be effective as a remedy for rheumatism, arthritis and gout. Animal studies have shown that extracts of the herb also have the ability to lower high blood glucose values. North American Indians used the plant to increase sweating, to treat fever diseases (like typhoid) and as fevers reduce agent. They also used it for painful menstruation and tuberculosis of the lymph glands of the neck. It has been used internally as a tea to treat ailments of the respiratory tract like colds, whooping cough and bronchitis. It was used as a remedy for lack of appetite and poor digestion. 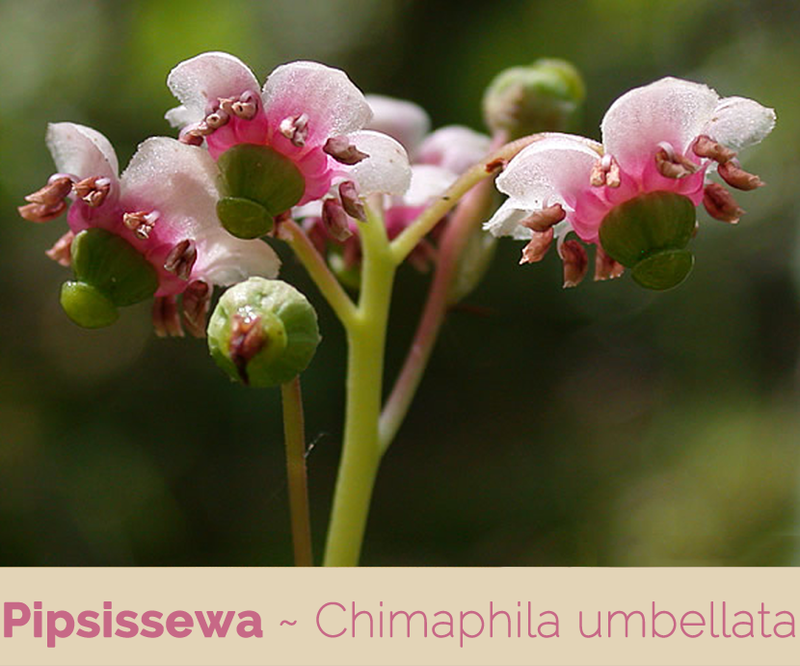 An extract of pipsissewa was used as an astringent eye wash for sore eyes. Extracts of the fresh leaves can be used as a wash or wet compresses on the blisters, tumors, ulcers, and swelling. Fresh plant material can be placed directly on the skin as a painkiller for rheumatism in the joints and muscles. Due to the content of tannins, it can reduce the absorption of some medication in the intestine and therefore the herb should be taken few hours before or after any medication. People with iron deficiency and generally poor nutrient absorption should avoid this herb. Women have used it to help deal with the unwanted symptoms of menstruation and also to regulate their menstrual cycle. Some Plateau Indian tribes used a boil of prince’s pine to treat tuberculosis. When combined with mullein it relieved bedwetting in children. 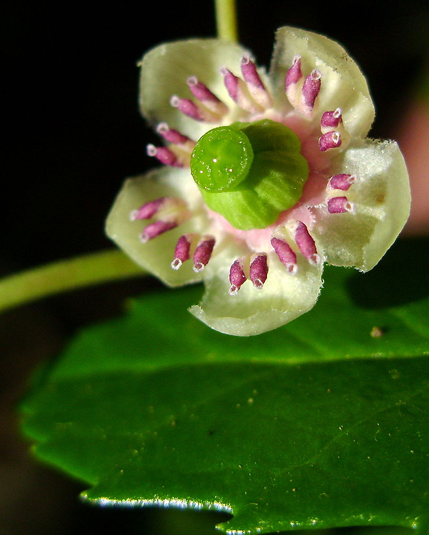 It has been reported that the Wasco people of Oregon used whole plant decoctions to treat tubercular infections. When consumed regularly it was said to cure cancers. It was taken as a diuretic for stranguary, dropsy and other kidney disorders. Leaves are nibbled, brewed into a tea or used as a flavoring in root beer. An extract of the leaves is used to flavor candy and soft drinks. Herb is used in the preparation of ‘navaitai’, an alcoholic beverage produced from sprouted maize in Mexico. Tea can be made from an infusion of the stems and roots. It is used as a flavoring in candy and soft drinks. It can be used in various forms such as in a form of tea, as a homeopathic medicine, in the form of culinary, as well as herbal medicine. Pipsissewa tea has a bitter but pleasant taste. It comes with many benefits. 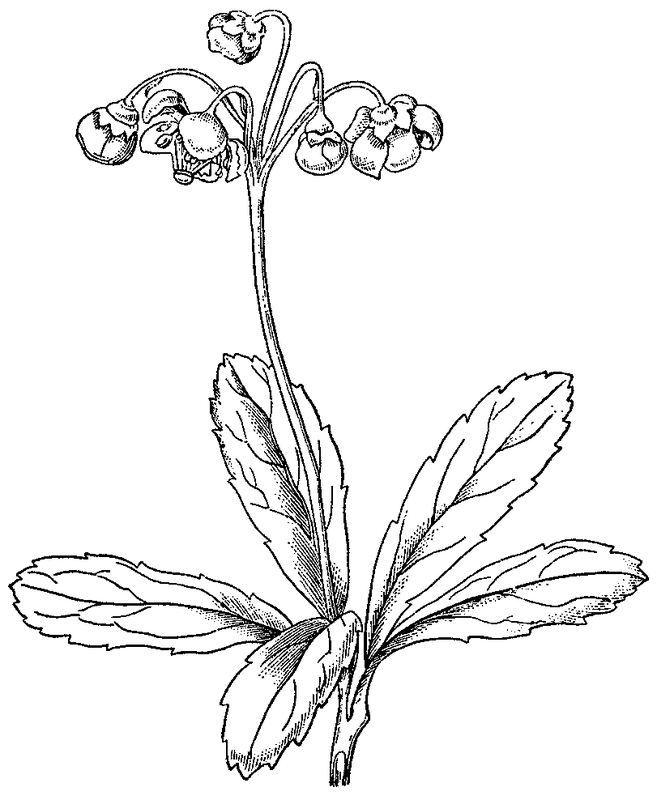 In a cup, put a teaspoon of the pipsissewa herbs. Put boiling water in the cup. Let the herb soak in the boiling water for a couple of minutes, then strain the water. Drink it. You can also add milk or honey for enhancing the taste. It is also used in the homeopathic form for treating severe inflammation of the prostate and mammary glands as well as urinary tracts. 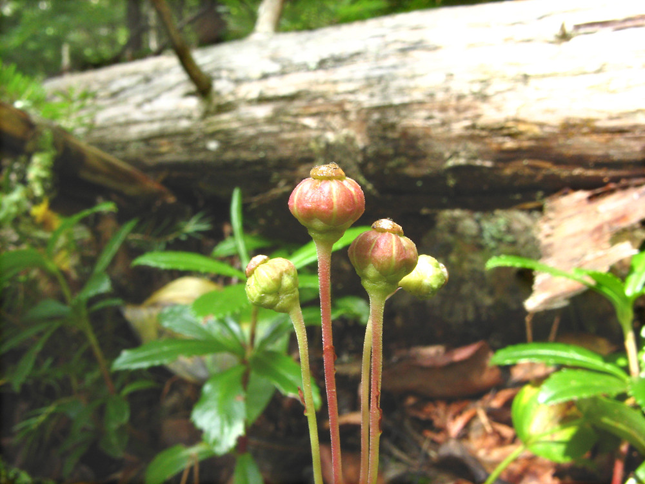 Pipsissewa is generally found in capsule form. But, when consumed internally in the herb form, it helps in treating edema, kidney related problems, regulating menstruation. It also helps in treating various skin conditions from the external application. Use 1 teaspoon of the herb. Soak it in a cup of boiling water, then strain the leaves. Use a couple of drops. 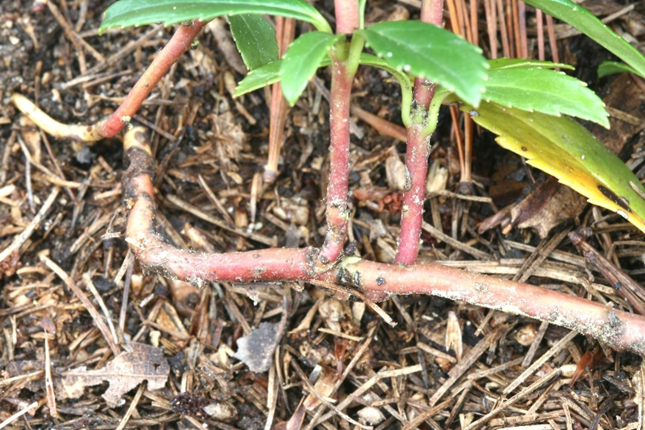 Plant’s stoloniferous root system, and dwarf spreading habit make it a god ground cover, though it is a difficult plant to establish and grow well. 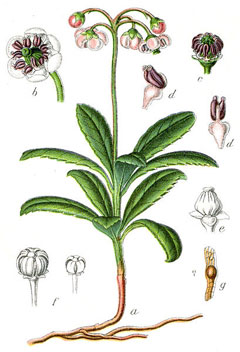 Plant is used in perfumery because of its delicate scent. Leaves have has also been used as a tobacco substitute. 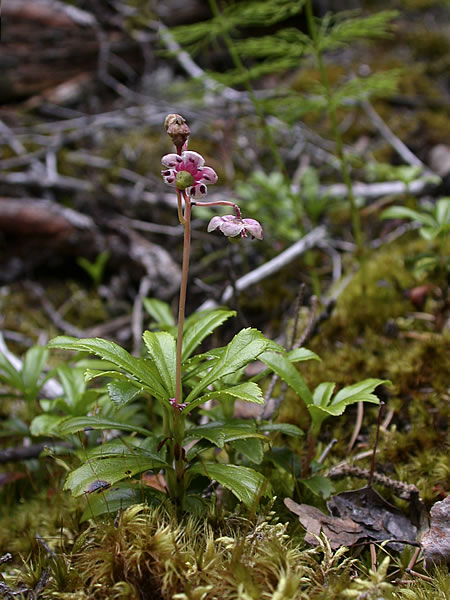 Pipsissewa can give urine a green color, but it is not dangerous. It is also used for a preparation of root beer. Large dosages may cause diarrhea, nausea and vomiting. Reduces mineral absorption from gut. Excess use may cause irritation in the gastrointestinal tract. Prolonged use may cause side effects such as ringing in the ears, vomiting, confusion, and seizures. Plant can cause contact allergy and rash in some people. Excessive external application may produce redness, irritation, or blisters on your skin.